This one did not make it to the mainstream media. But Iraqi soldiers received brutal, final order in the last days of battle with IS – Kill anything that moves. Results can be found crushed in the rubble. MOSUL, Iraq – The Iraqi soldier looks out from his tiny three-walled room across a wasteland of rubble that crumbles steeply down to the banks of the Tigris River and contemplates the last days of the savage fight against the Islamic State (IS) group. What remains of this part of Mosul’s Old City, where IS militants made their last stand, and what lies beneath betrays the horrific final days of the battle. Hundreds of corpses lie half-buried in the broken masonry and rubble that was once a bustling, historic quarter. The stench of decaying flesh, which comes fast in the 50C summer heat, overwhelms the senses. Feet are the most distinguishable remains; there are many poking from the rubble. That final killing spree has left its mark, and it is one some appear keen to cover over. Over the last week, armoured bulldozers have trundled back and forth over the crumpled houses, grinding uncounted corpses into the rubble. But the dead refuse to go away. Rotting body parts glow a reddish-brown amid the pale grey of the undulating heatscape of masonry, dust and broken buildings. Speaking on condition of anonymity, the major said the orders were wrong, but the military had to follow them. The major scoffs at claims made by some Iraqi soldiers that the jails in Baghdad were already too full to take any more IS prisoners. On Monday, several journalists witnessed an IS captive being dragged through the ruined streets of the Old City by special forces soldiers. The man was bound and had a rope fastened around his neck. The journalists had their memory cards confiscated by soldiers and were ordered to leave. Corpses line the western banks of the Tigris. 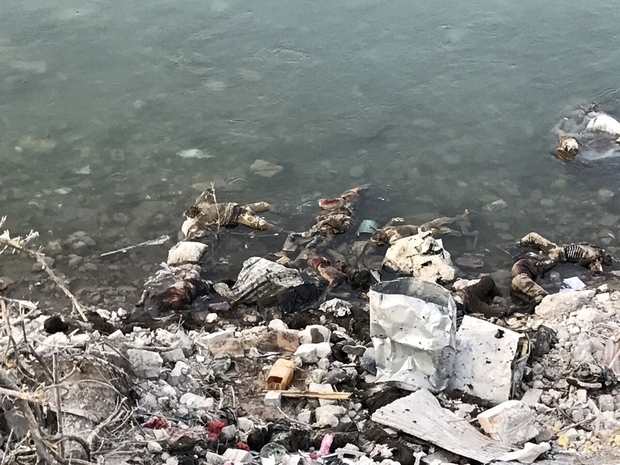 Killed in air strikes, fighting and executions, or having died of hunger or thirst, some have washed ashore while others float in the blue waters. Some of the bodies are small. They were children. Footage released on social media on 17 July shows Iraqi helicopters carrying out what are believed to have been some of the last air strikes of the nine-month-long battle for Mosul. To a soundtrack of cheerful, victorious music, the helicopters target desperate people attempting to escape the Old City by swimming across the wide river. Nearby, soldiers pose for victory photos before an Iraqi flag, the pole planted atop a pile of rubble and body parts. They have become inured to the landscape of death over which they move. The brutality of this long conflict and the barbarity of their enemy has taken its toll on the Iraqi armed forces. There is little humanity left. Soldiers – most with scarves wrapped around their faces to fend off the overpowering stench of death – pick through the rubble and corpses, looking for modest spoils of war. Burned and broken pieces of AK47s, empty magazines, a few tins of ammunition. 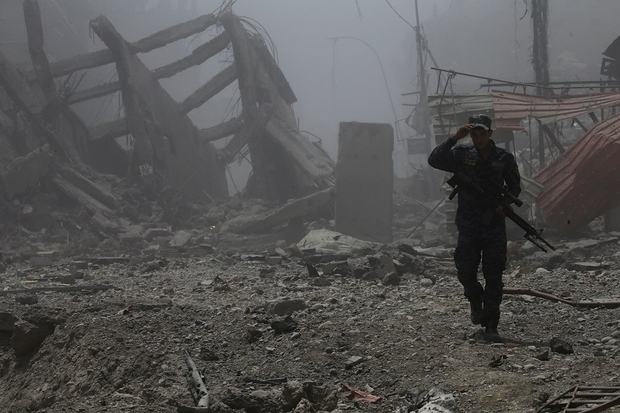 Late last week, Iraqi forces were still being attacked by occasional IS militants emerging from the rubble or collapsed buildings to shoot at soldiers or hurl grenades. On Thursday, a soldier approached what he thought was an IS corpse. The militant was pretending to be dead and shot the soldier at close range with a pistol. There were still people alive under the rubble on Monday, when four IS members – two foreign fighters and two Iraqis – were found hiding. All four were shot, according to an Iraqi soldier stationed there. 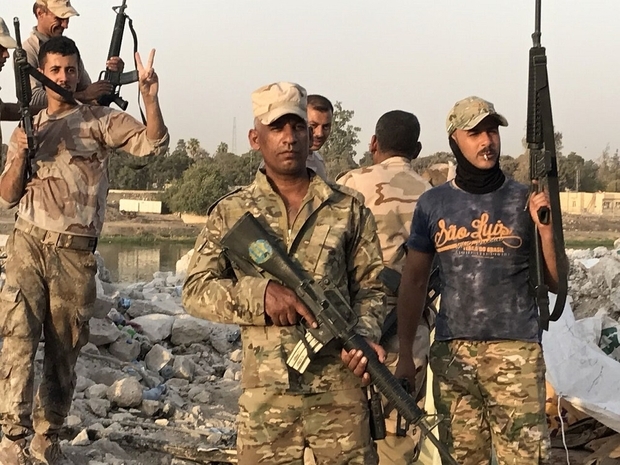 These are likely to be among what soldiers believe are comparatively few survivors, some of whom are still managing to target Iraqi forces from underground hide-outs. Last Thursday, Iraqi army soldier Haidar said eight tunnels with people inside had been identified by the military, mainly from interviews with women and children who had escaped. “In our section, there are three. One tunnel has six Iraqi Daesh fighters, in another there are 30, including nine women, and in the third, we do not know the exact number but people coming out tell us there are a lot,” he said. It is not known what became of any of those people – but very few civilians have emerged alive from the ruins since Thursday. 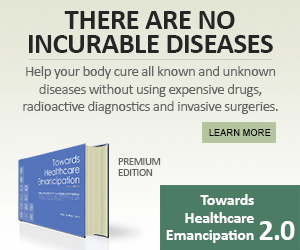 Supplies of food and drinking water are either scarce or non-existent below ground. The last civilians to emerge from the rubble resembled concentration-camp victims, many reporting they had not eaten for a fortnight. Some were near death. Last Wednesday, a starving Yazidi boy, 11, wept in a field hospital where he was treated for extreme dehydration and malnutrition as he described watching four other children die of thirst. IS abducted the boy and his 13 year-old sister, who he had not seen for the preceding 30 days, from their home town in Iraq’s Sinjar mountain in 2014. IS massacred thousands of Yazidis – whose ancient faith they decry as devil-worship – and took thousands more women and children into captivity. Near the river, bulldozer driver Hussein said that his job was to maneuvre over the rubble, filling in any suspicious entrance holes to block possible IS activity. 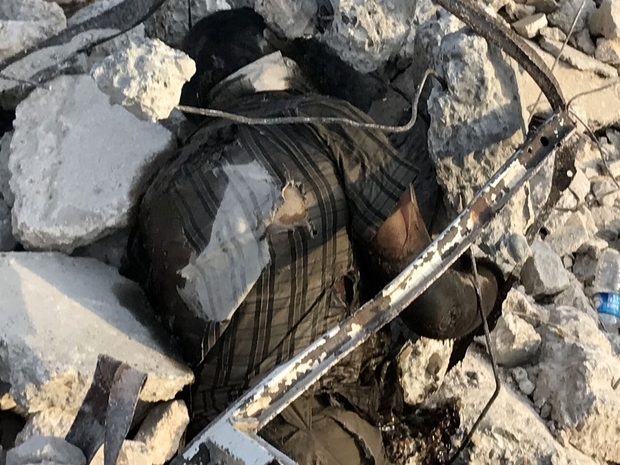 “I fill the holes with rubble so the Daesh can’t come out again,” he said, adding that he was not sure whether he was burying people alive. Even in areas of the Old City that were liberated weeks ago, death still lingers. 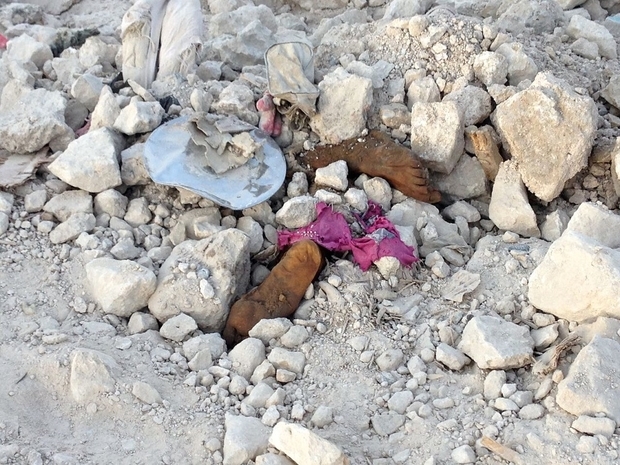 Near the remains of the destroyed al-Nuri mosque, the blackened disembodied head of a female IS adherent who blew herself up among fleeing women and children lies beside a crater. In the dust nearby is a hairbrush, a fashionable handbag, colourful clothing – small things with which people had hoped to escape – and a woman’s leg. A cat steals across a ruined street with a piece of fresh meat hanging from its jaws. It is inevitably human – the only flesh left anywhere in the Old City is that of dead people. New corpses still appear at different locations across the Old City. Some have clearly been executed, shot in the head at close range. Many still have ropes trailing from tied hands and feet, indicating that either while dead or alive, they were dragged through the deserted streets. Many have been set on fire to curb the smell of decomposition. Iraqi forces proudly claim to have killed at least 2,000 IS militants in the last stages of the Old City battle. Many of these were foreign fighters. 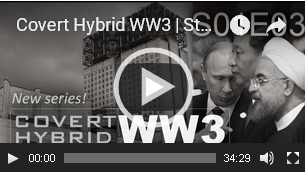 No one has offered a figure for the dead civilians – the women and children who could not escape. The way the bulldozers have churned over the rubble and corpses and then driven back and forth over the terrain means that the real loss of life in the final bloodbath of the Mosul conflict will never be known. 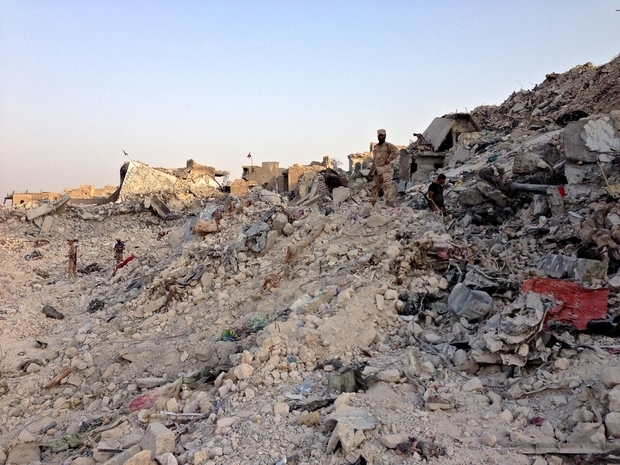 The once-elegant historic Old City of Mosul is now an expansive graveyard – a crumbled flattened monument to one of the most merciless conflicts of the still young 21st century. This illustrates how the use of terror proxies is still serving their agenda even when the war for regime change, and plunder of resources, is failing. They don’t have to look after the well-being of their militants after the operations are ended. They just order them killed, with plausible deniability. So, where’s the self-righteous moralists from Oxford University on the issue of Iraq Mosul’s bloodbath, and the uninvited UK/US/EU military invasion by proxies against the Syrian people? Previous PostDuterte Slams Oxford University & Intellectual Elitism this timeNext PostIs the US Congress Engaged in A Controlled Demolition of the US? This is Rothschild world !